WASHINGTON — The FBI has a backlog of 3,211 forensic DNA cases, which would take two years to eliminate if there was no new staff or new cases, according to a report by the Justice Department’s Inspector General. “The forensic DNA case backlog at the FBI Laboratory can have significant effects,” the report said. 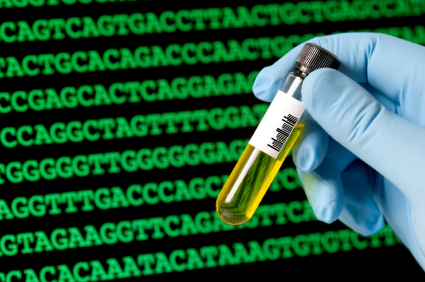 “Backlogs may delay legal proceedings that are waiting on the results of DNA analysis. The report said the FBI was in the process of adding 17 additional forensic examiners “however, hiring and training the new personnel could take significant time (12-18 months for training personnel new to DNA examination) and therefore would not have a significant impact on the current backlog for almost two years,” the report said. The report also said the FBI had a backlog of more than 2,700 Nuclear DNA cases and almost 500 Mitochondrial DNA cases. “Missing Persons cases composed the highest number of backlogged cases, with 1,241 cases or 39 percent of the forensic DNA case backlog as of April 2010.” the report said. “Although resources have not kept pace with the casework demands, we have pursued other strategies to address this issue. We are making progress on the backlog: over the last five months, the backlog of nuclear DNA cases has dropped. The FBI Laboratory has made great strides toward eliminating the offender backlog and we intend to apply the same knowledge and experience to the successful elimination of the forensic DNA case backlog. “Based upon a review of the Report, the FBI concurs with the five interim recommendations directed to the FBI. The FBI appreciates the professionalism exhibited by the OIG to complete this interim Report and we look forward to the continuation of this audit. Posted: 8/9/10 at 5:22 PM under FBI, News Story.